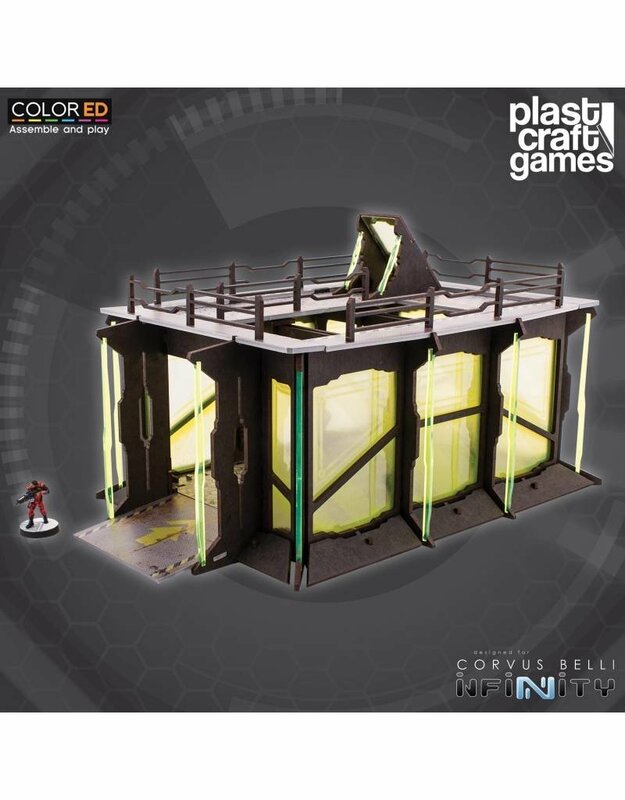 The Industrial Garage is a pre-colored scenery element designed for Infinity. It can be also used with any other futuristic aesthetic 28-30mm scale game. The L-Industrial Garage comes in a pack that includes a set of individual pre-colored pieces.